You will not find another location like this one in the North County, Carlsbad, Encinitas, Solana Beach, Rancho Santa Fe, Del Mar or Carmel Valley areas. 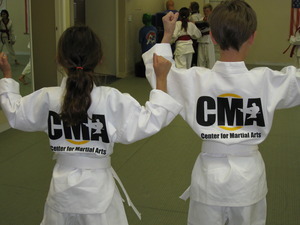 Our clean, air conditioned studio is fully equipped with everything the aspiring martial artist needs. 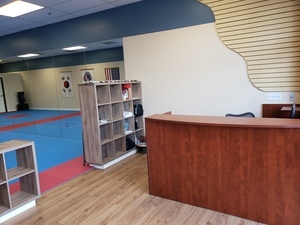 The training floor is covered with top of the line mats and is outfitted with state of the art martial arts and sports conditioning equipment. Full length windows encompassing the training floor and multiple sky lights absolutely flood the room with natural light. 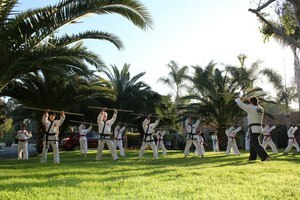 The facility offers a large outdoor garden area with lush tropical vegetation. 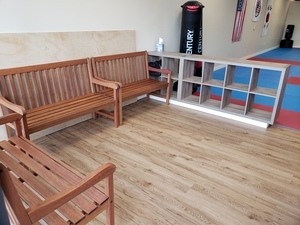 This little piece of paradise serves as a second training floor during class time as well as the location for camps and other studio events. The spacious viewing areas make it comfortable for parents and siblings who wish to observe class. 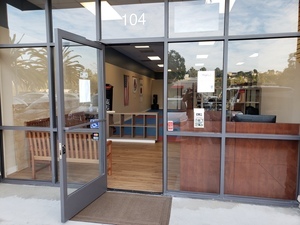 We provide two dressing rooms, two bathrooms, and even a Pro-shop with equipment, supplies and snacks. Our studio is designed with every student and family member in mind in hopes of delivering the highest quality facility possible. 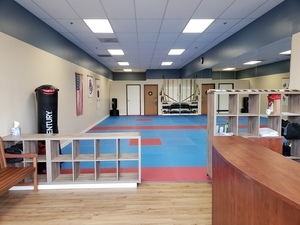 This Carmel Valley studio is perfectly located in the middle of the Torrey Hills area and is clean, air-conditioned, and stocked with everything the aspiring martial artist needs. Our training floor is accented with wall-to-wall mirrors, to promote proper body mechanics, and has the highest quality equipment available. 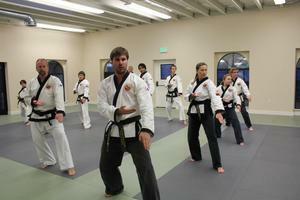 The waiting area is perfect for family and friends that want to watch as students train with others. 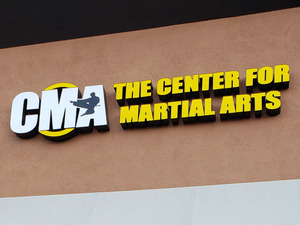 Along with dressing rooms and a bathroom, this studio keeps with the Center for Martial Arts tradition of providing the highest quality martial arts facilities possible.